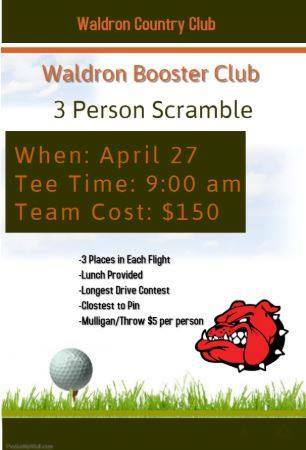 The Waldron Athletic Booster Club will be hosting their annual golf tournament on April 27 at the Waldron Country Club. The 3-person scramble will begin at 9 a.m. with proceeds going to support Waldron Athletics. You are invited to show your support and enjoy some fun in the sun!